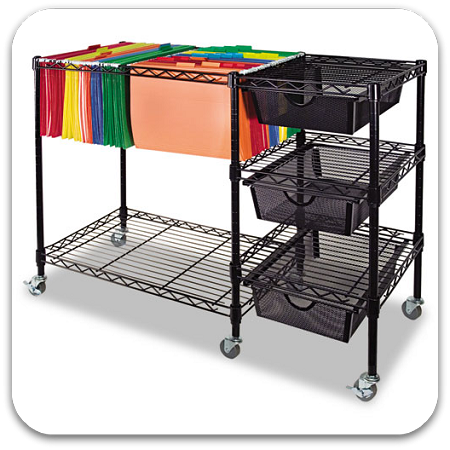 An easy access suspension file cart that fits under most work surfaces. 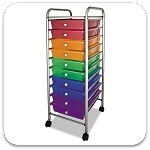 Features a sturdy all steel frame with built in hanging rails that holds letter or legal files. Extra large 10½"w x 15¼"d x 4"h drawers stores large size documents and material.